Washing dishes can be time consuming, but with a dishwasher it’s easy to get all your pots and pans, plates, dishes and cutlery clean with minimal fuss. Dishwashers put an end to the chore of washing up, which is especially useful if you have a large family or if you regularly cook for big groups of people. When you’ve just enjoyed a nice home cooked meal, the last thing you want to do is spend more time in the kitchen doing the dishes. However, installing a dishwasher will make life easier, especially after Sunday roasts, baking sessions or dinner parties. With a dishwasher, standing at the sink scrubbing food from your plates will be a thing of the past. No matter what you rustle up in the kitchen, from pasta bakes to birthday cakes and everything in-between. When you’ve finished cooking and eating, simply load up your dishwasher, switch it on and take a well-earned break from the kitchen. 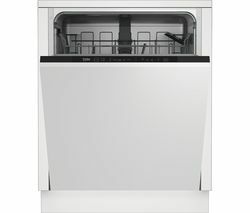 If you’re looking for a state-of-the-art dishwasher check out our great range of beko dishwashers and if you have a fitted kitchen our integrated dishwashers will slot in without compromising your carefully chosen style. 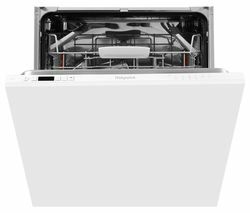 Whether you want to save time in the kitchen or you’re looking for an effective way to get cleaner dishes without any extra effort, a dishwasher is an ideal solution.